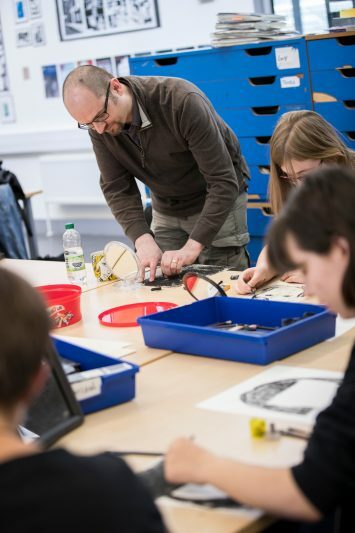 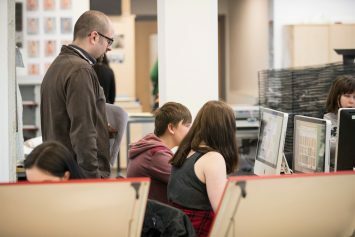 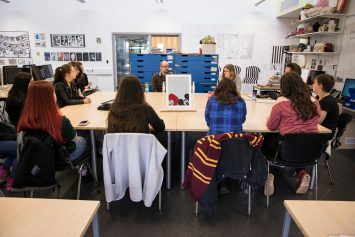 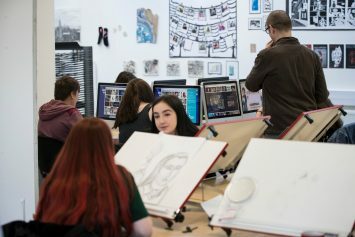 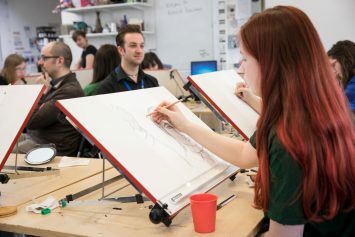 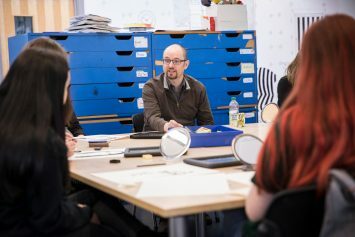 Illustrator Richard Beacham began his Masterclass at Highbury College with an informal discussion, generating an interesting conversation about the challenges and advantages of working as a creative professional. 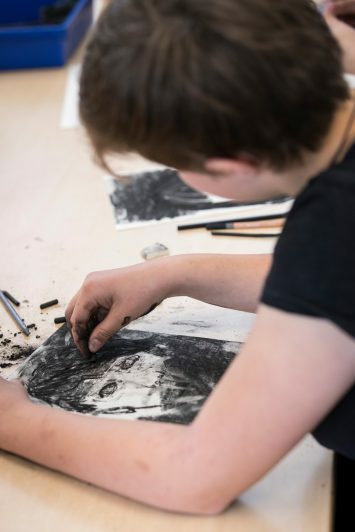 The group then worked on a series of exercises, starting with a ten-minute self-portrait in charcoal, which some of the young people had not used before. 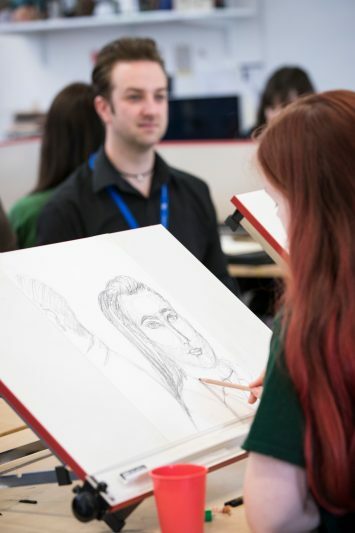 After a quick review and further advice, Richard asked them to draw a second self-portrait, using the feedback and tips they had been given. 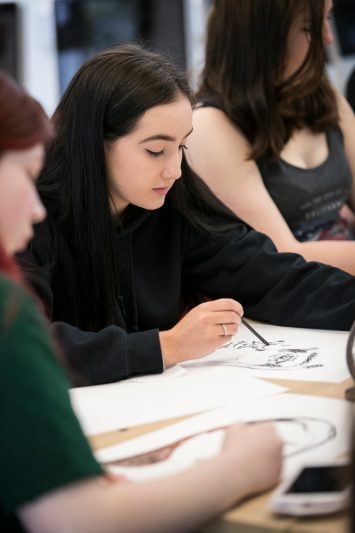 Their third task was to draw portraits of Richard and their two tutors, who sat as models, and their main and final activity was for members to sketch themselves as a character from A Midsummer Night’s Dream, incorporating online research about the characters and their costumes. 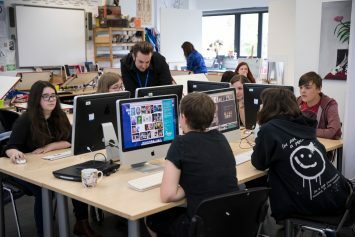 Everyone had lots of ideas, all very different from each other, and the standard of their work noticeably improved during each task to produce some really impressive results.